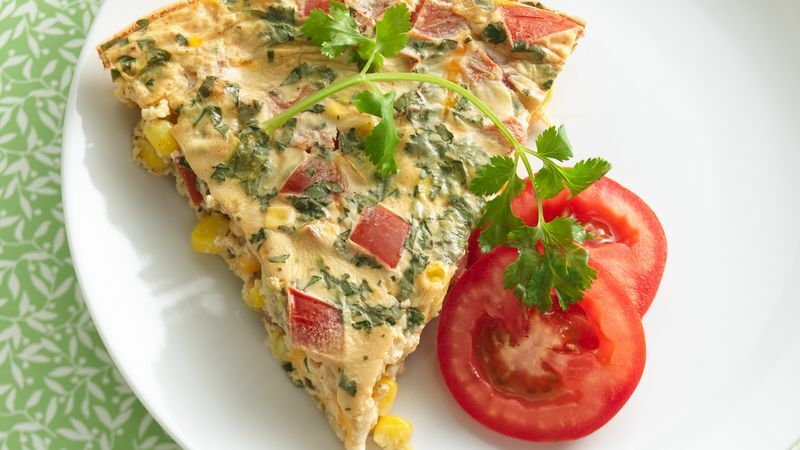 In medium bowl, stir all ingredients except corn, cheese and tomato until blended. Stir in corn, cheese and tomato; pour into pie plate. Bake 30 to 35 minutes or until knife inserted in center comes out clean. Let stand 10 minutes before cutting. Partner quiche with a mixed-greens salad dressed with your favorite vinaigrette.